A Classic Lionel Accessory with Command Control! 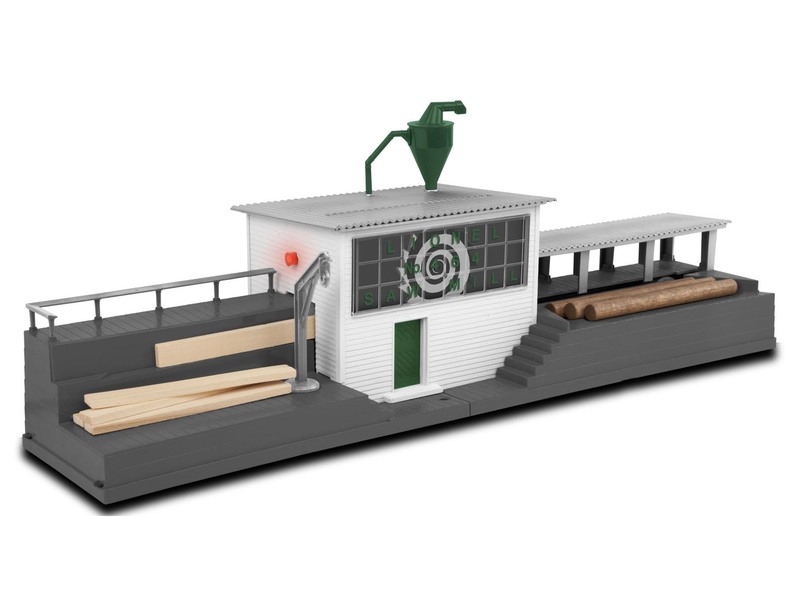 See the logs enter into the sawmill by conveyor belt and watch in amazement as fresh wood planks come out of the other side. Safety strobe lights on both sides warn workers to be careful around the action. Together with your favorite Lionel log dump cars and log loader, the Sawmill can complete a classic logging railroad empire. Setting up and operating your accessories on your layout has never been easier!